In the investment industry, you aren’t really taken seriously as a money manager until you can post 10 year performance numbers. The winery invites you to come celebrate the 10th vintage release of Portfolio and see how their Portfolio has performed. Annual General Meeting at Laughing Stock Vineyards on the Naramata Bench, where the agenda is all about wine. Join in and evaluate past and future Portfolio performance with a sneak-peek tasting of the upcoming release of Portfolio 2012, as well as select older vintages from the last decade. Tickets are $50 + GST per person. Complimentary for Preferred Share Wine Club Members. RSVP required to preferredshare@laughingstock.ca or please call the winery at 250.493.8466. Become a wine club member today to receive an invitation as a shareholder benefit. Hosted by Laughing Stock owners, David & Cynthia Enns, enjoy a multi-course meal prepared by some of the most renowned chefs in Canada, paired with Laughing Stock’s wines including selected library vintages of Portfolio. Dinner is $150 pp incl grat & taxes. 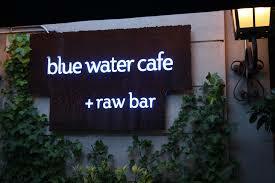 Reserve now by calling 604.688.8078 or emailing stephan@bluewatercafe.net. In the meantime, explore how, over the last decade, Laughing Stock in Naramata has built the winery to create this wine at this 10th Vintage.